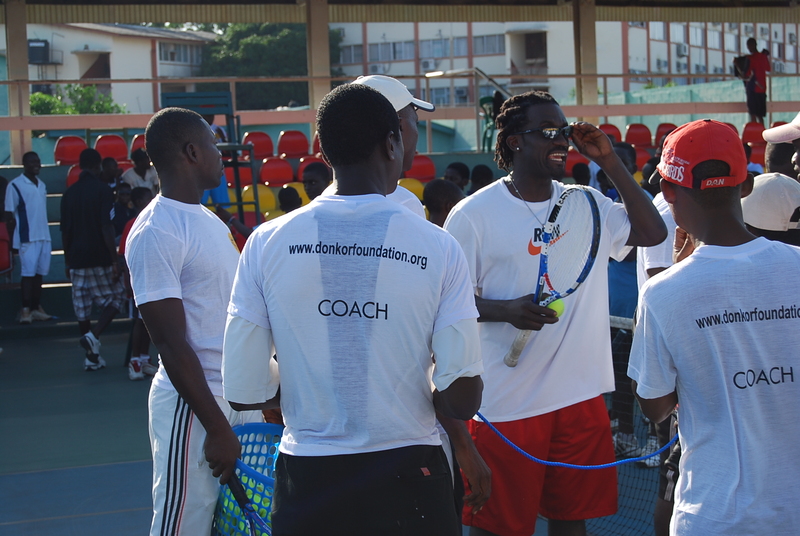 You Are Here: Home » DTEF most recent events. 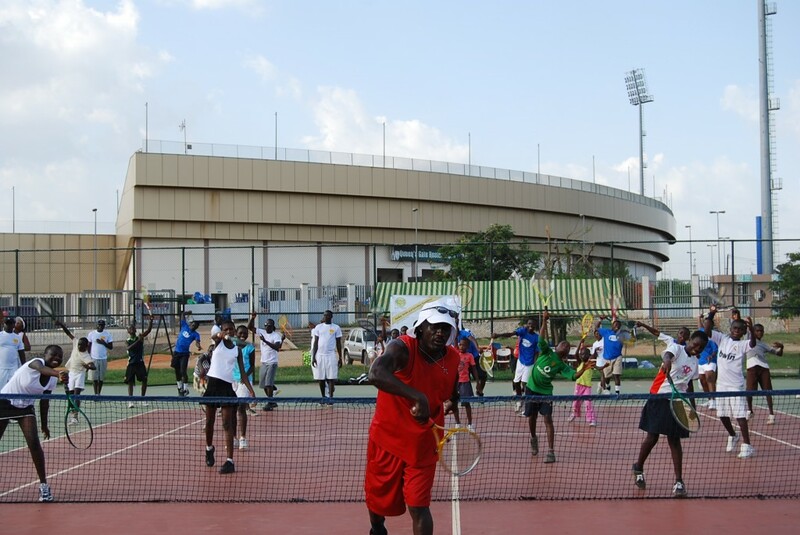 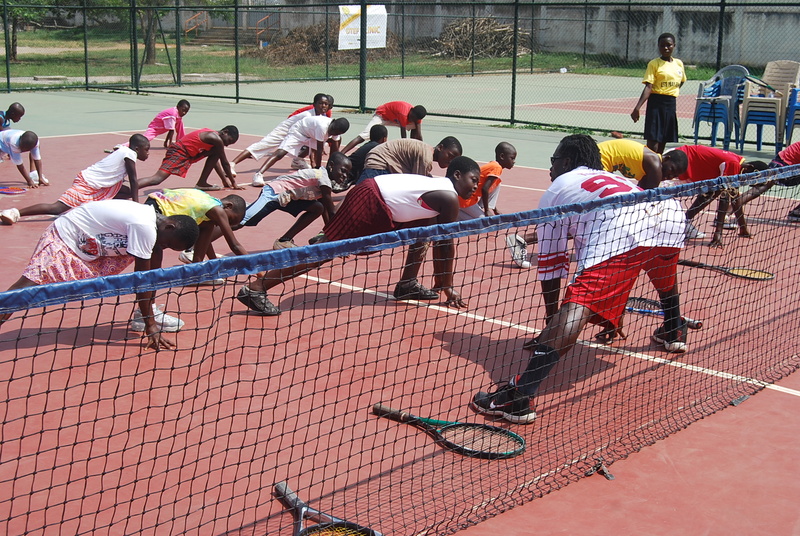 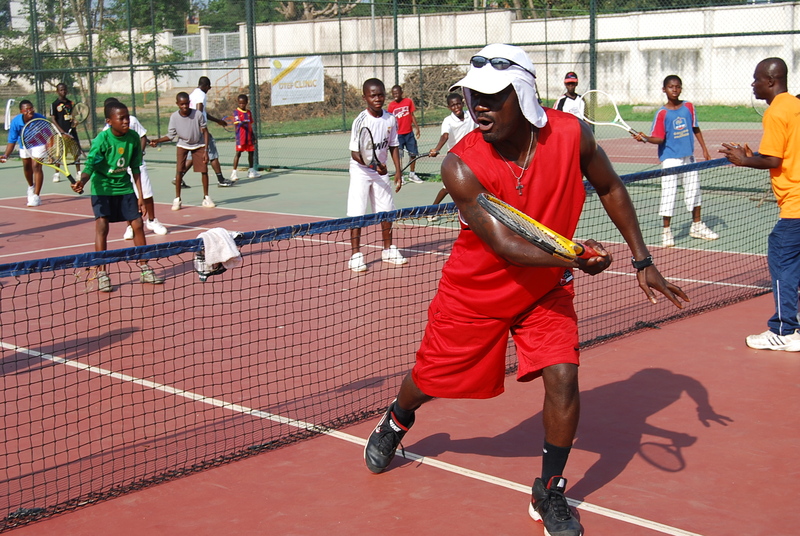 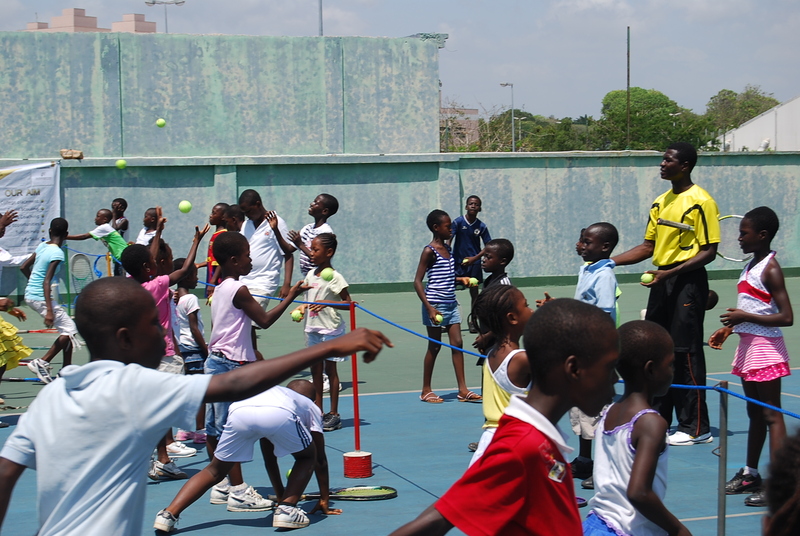 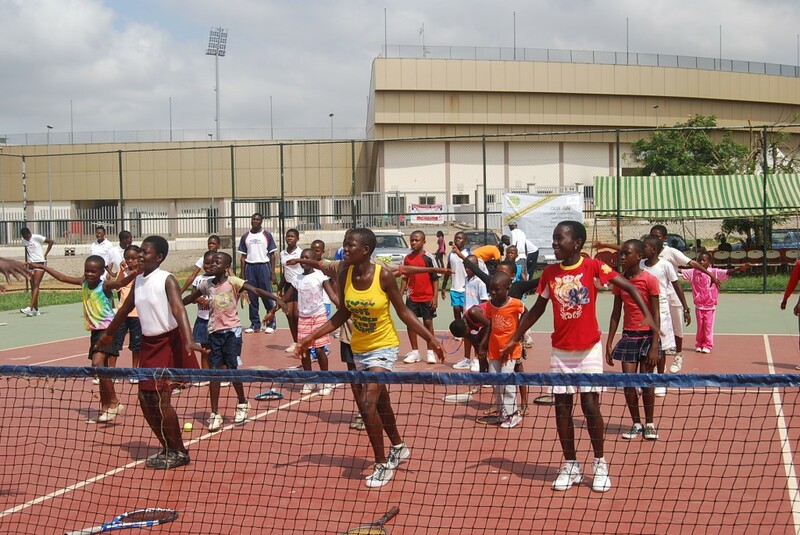 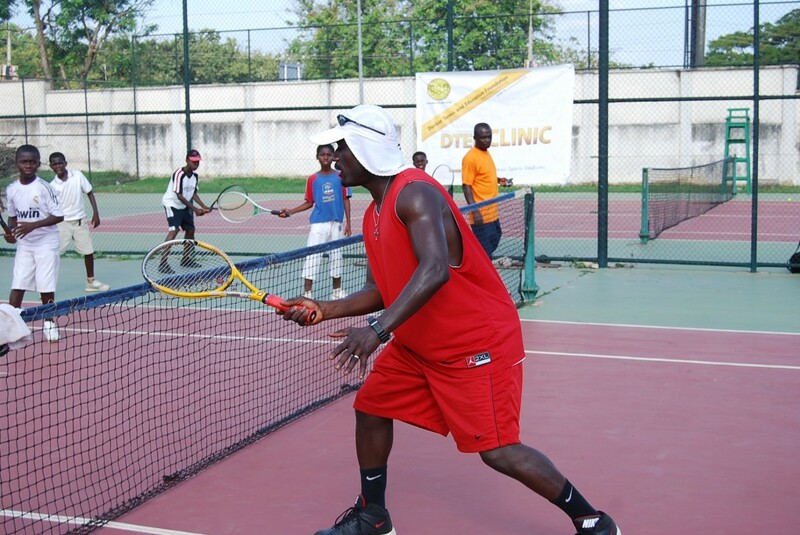 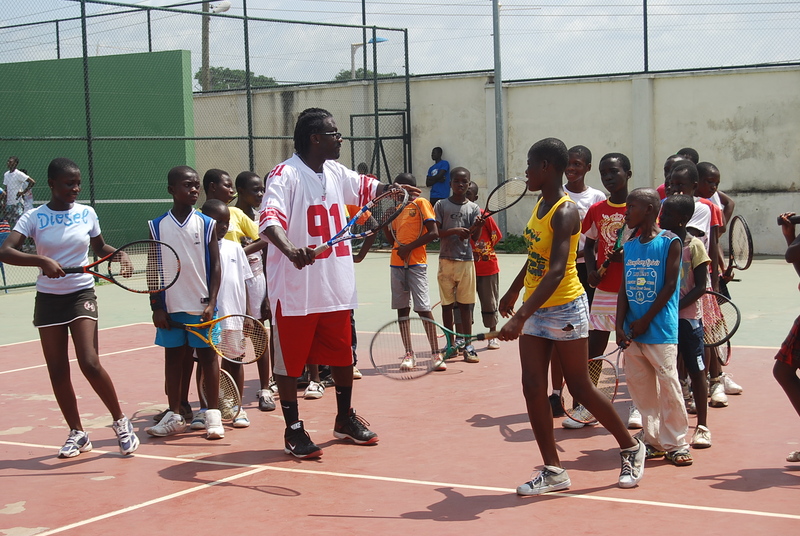 Isaac Donkor and two of our Board members ran a fun Tennis clinic in Zimbabwe in July for over 60 children. 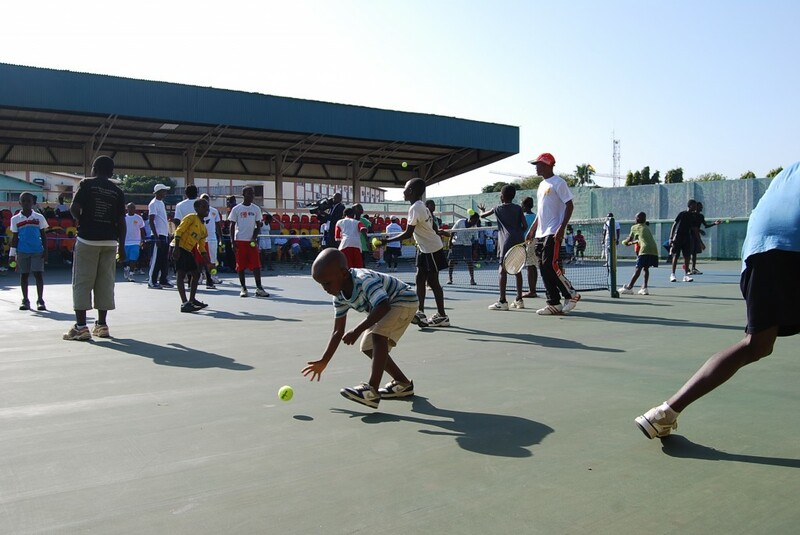 The foundation has been running these clinics fro the last 4 years and are always very popular with the children, who look forward to it every year. 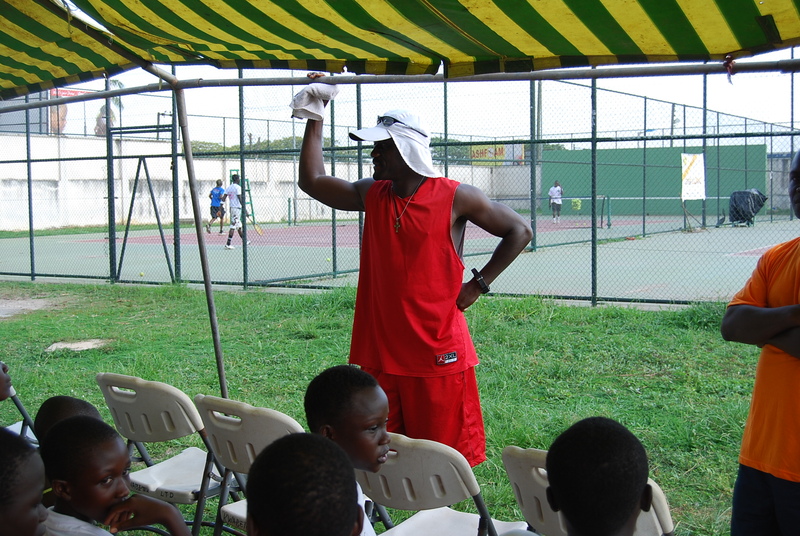 The Foundation distributed two large bags of sports clothing and equipment aswell as food during the day. 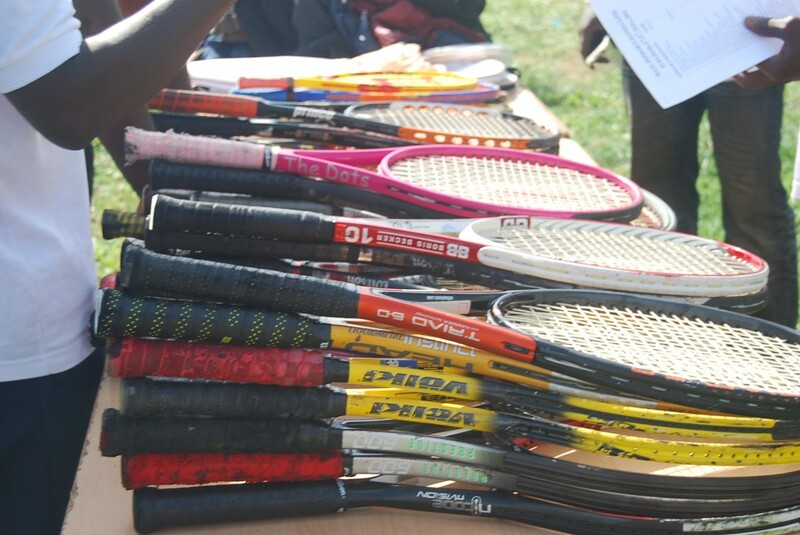 Thank you to Cheretzi School for allowing us to use their courts and to the Malilangwe Trust for sponsoring the event, providing the food for everyone. Dottie, Isaac and Paul in Zimbabwe. 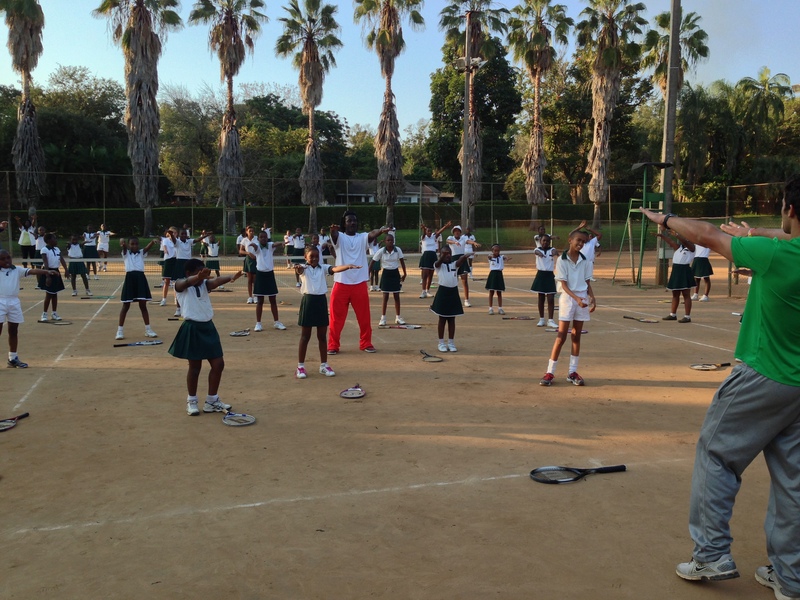 The Foundation ran a clinic in Zimbabwe in July for around 90 school children. 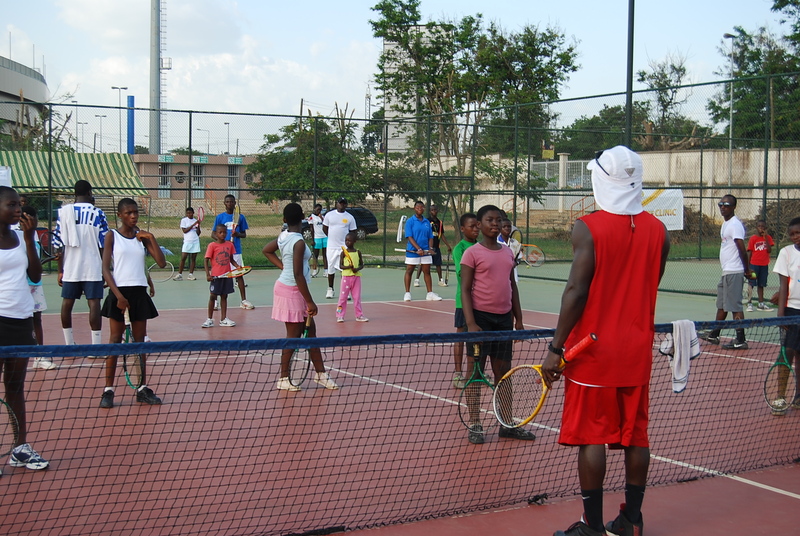 Isaac, Dottie and Scott put together a fun filled day with the help of some of our top sponsors. 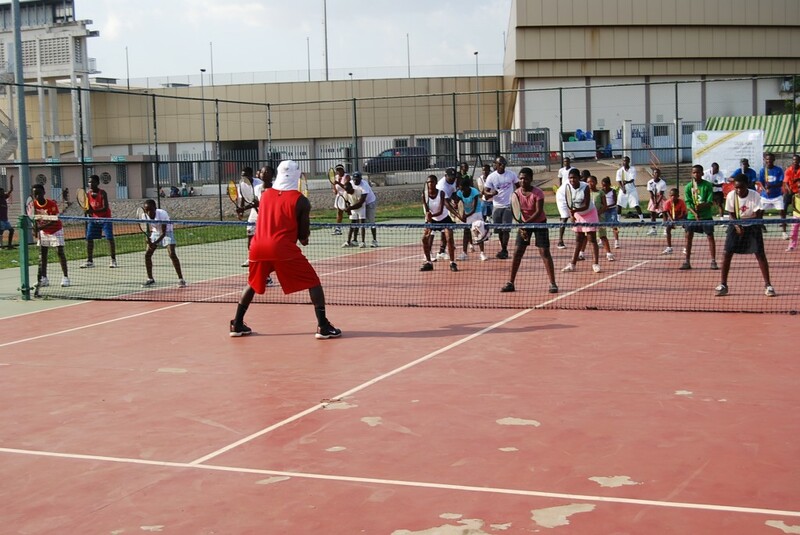 The children had a great day learning tennis techniques and playing games aswell as getting lunch provided courtesy of Mr Jones. Isaac had also collected new and gently used sports clothing and shoes aswell as rackets. 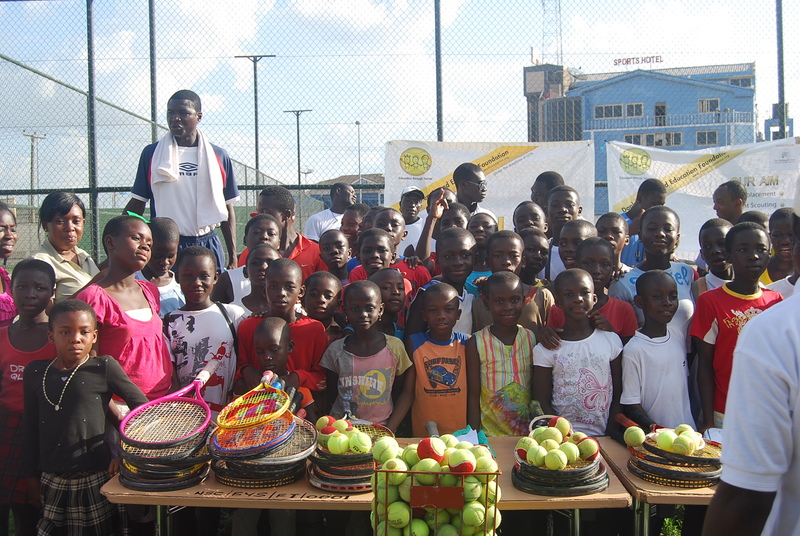 which he distributed amongst the children. 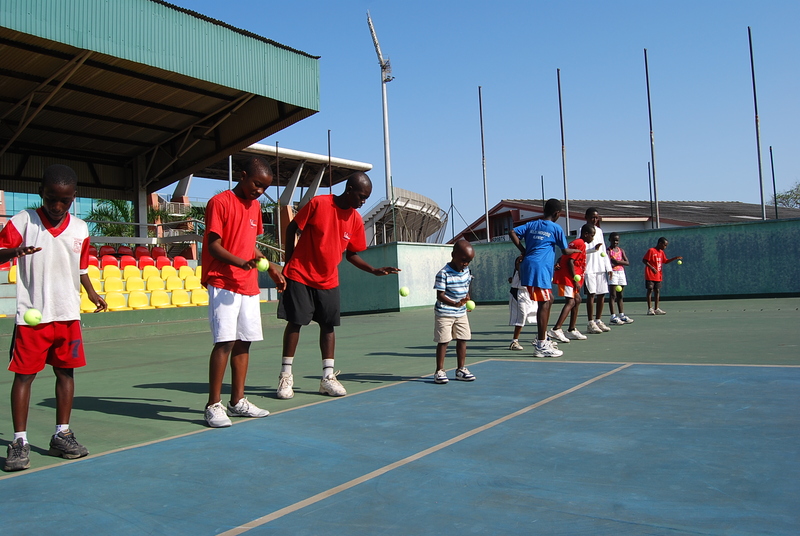 The Foundation is now looking towards its next Official clinic in Ghana which will take place at the end of October. Please help us make this the most successful by donating money or equipment to our cause.